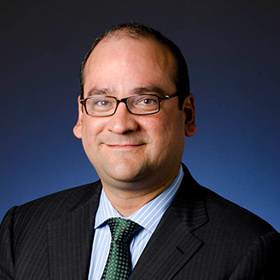 Fernando Borges serves on EMPEA’s Board of Directors and its Latin America Council. Mr. Borges is a Managing Director and Co-Head of the Carlyle South America Buyout group focused on private equity investment opportunities in South America. He is based in São Paulo. Mr. Borges joined Carlyle in 2007 and has been involved in Carlyle’s investments in current portfolio companies in Brazil, mainly in CVC Operadora e Agência de Viagens S.A. (BVSP:CVCB3), one of the leading travel services companies in Latin America; and Qualicorp S.A. (BVSP:QUAL3), the largest healthcare benefit administrator in Brazil. Prior to joining Carlyle, Mr. Borges was a Managing Director at AIG Capital Partners and CEO of AIG Capital Investments do Brasil, being responsible for managing AIG’s private equity activities in Brazil. From 1994 to 1999, Mr. Borges was a Director of Bozano, Simonsen’s Private Equity division, where he was responsible for managing a private equity fund sponsored by Bozano, Simonsen Group and Advent International. Mr. Borges has 18 years of private equity experience in Brazil, having participated in more than 20 transactions in the region. Mr. Borges holds a graduate degree from SAIS – School of Advanced International Studies of the Johns Hopkins University, the Bologna Center, and a B.A. in International Relations from Universidade de Brasilia. Mr. Borges currently serves on the Board of Directors of Carlyle’s portfolio companies in the region: CVC Brasil Operadora e Agência de Viagens S.A., Scalina S.A., Orguel Administração e Participação S.A., Ri-Happy Brinquedos S.A., and Estok Comércio e Participações Ltda. (“Tok & Stok”). Mr. Borges is also the Chairman of ABVCAP, the Brazilian Association of Private Equity & Venture Capital.